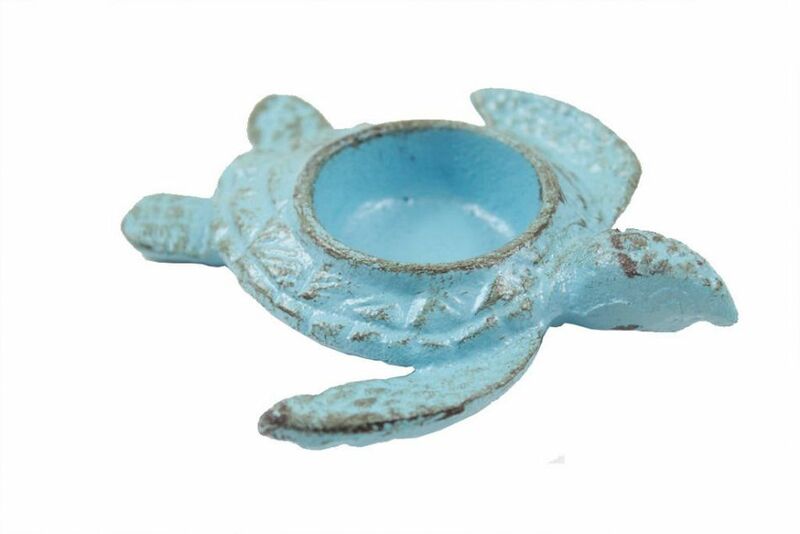 Let memories of your perfect day light the way with this Rustic Light Blue Cast Iron Turtle Tealight Holder 5". It's perfectly charming, practical and are the ideal wedding favor. 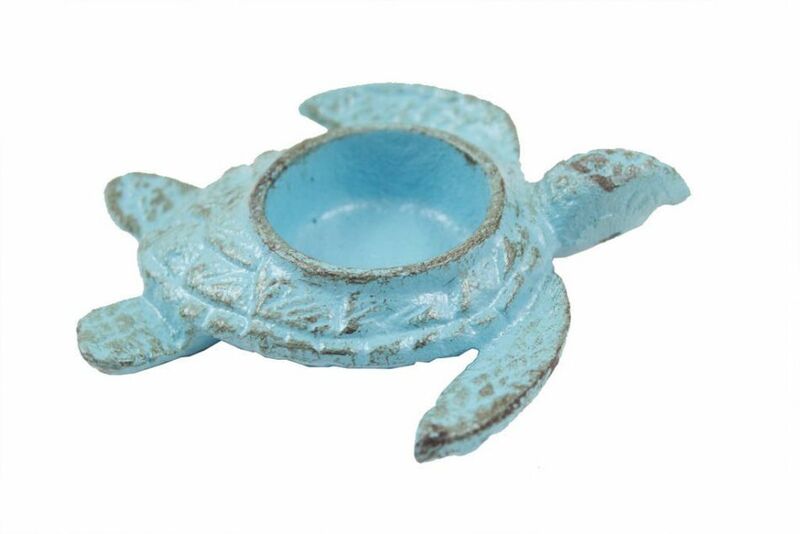 They add charm to your table decor, while impressing your guests with their substance and thoughtfulness. This tealight holder is a favorite amongst those searching for the perfect beach theme wedding decor.